creativity | RUN! RUN! RUN! – RUN!RUN!RUN! (Regent’s Canal): Warming Up! 31Oct 1100hrs. 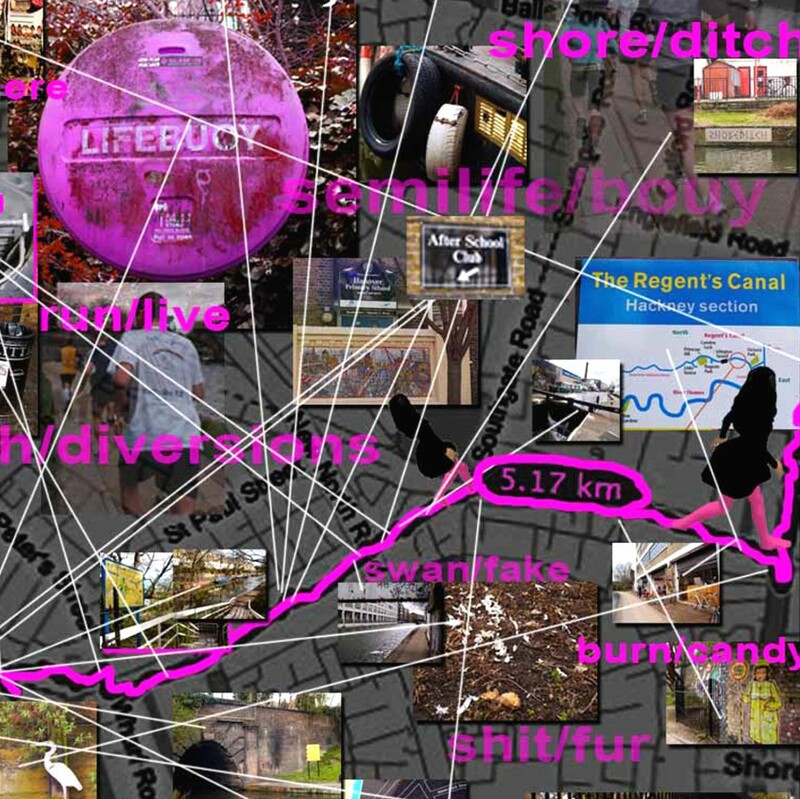 This is a 0.5 mile run which is a part of and opens the SEA Arts Festival events at the Proud Archivist (N1 5ET). No running experience or running shoes required. – RUN!RUN!RUN! (Regent’s Canal): A Rundown! 31Oct 1230hrs. 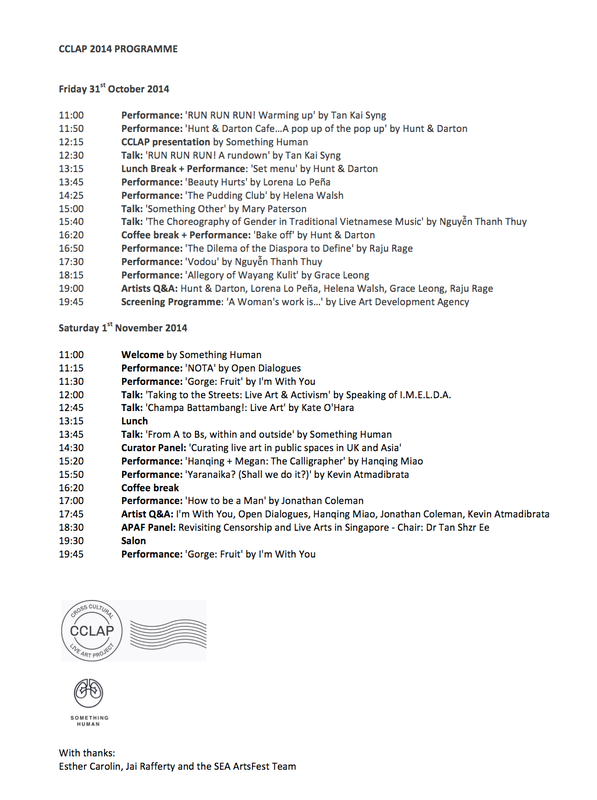 This is a performance-lecture in which I talk about ways in which we can activate running as a creative toolkit for the city. I also talk about how I began using my body as an art medium since 1994. This talk follows the morning run. It takes place at the Proud Archivist. – RUN!RUN!RUN! (Hampstead Heath). 1Nov 1300hrs-1500hrs. This is a run exploring the correlation between running and creativity. Meet Kai at UCL for a 3.5mile run to Hampstead Heath, where we follow runner-artist Jo Volley to her studio for a hands-on experience on ink-making. End with drink at pub with Jo, or run back to UCL with Kai (7miles total). Special guest: Geographer and Walking or rather Running Encyclopaedia on Running, Dr Alan Latham. Where: Meet at Haggerston Station. Destination: The Proud Archivist 2-10 Hertford Road, London N1 5SH. Book tickets at Eventbrite now. Come run with Kai Syng Tan in a hands-on, or rather, feet-on performance, and explore how running can function an everyday creative ‘rite’ to empower us to ‘run’ London. 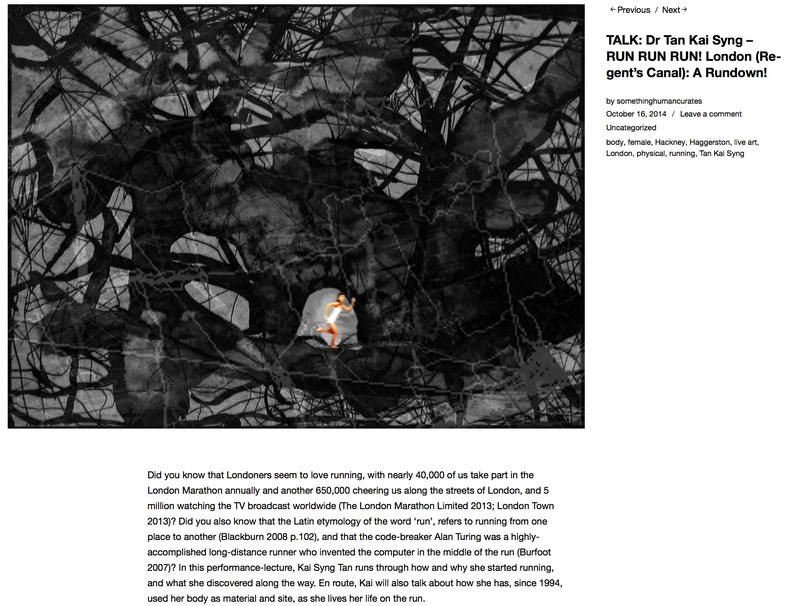 We will run in the area around the Proud Archivist, and while doing so, we will run – conduct – discourses, about running based around the question: (How) Does running make us see/hear/think about London differently? 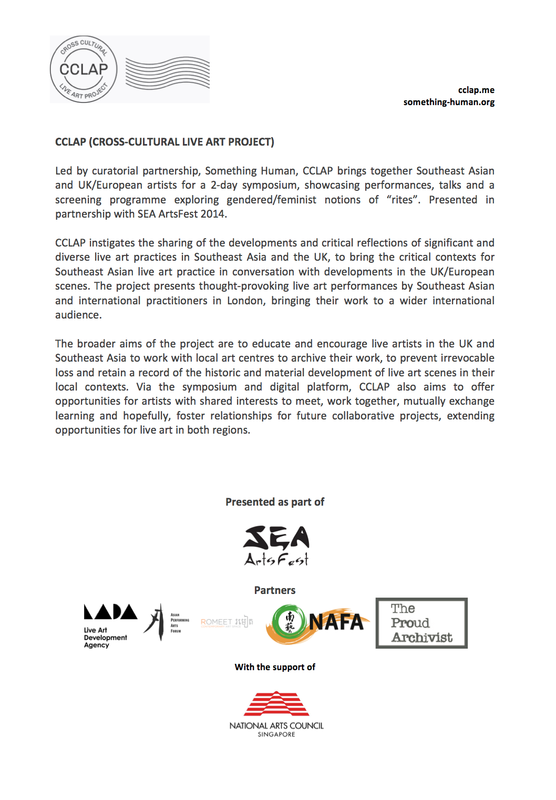 This being the event that opens the SEA ArtsLIVE, we will also touch upon a couple of related areas of concern such as the (female) body and embodied practices of resistance. As such, Warming Up! also acts as a preparation exercise that gets us sweating with excitement for the wide range of lively discourses to come at SEA ArtsLIVE. No running experience required, no running clothes needed – even shoes are optional. So, no excuses. RUN RUN RUN! 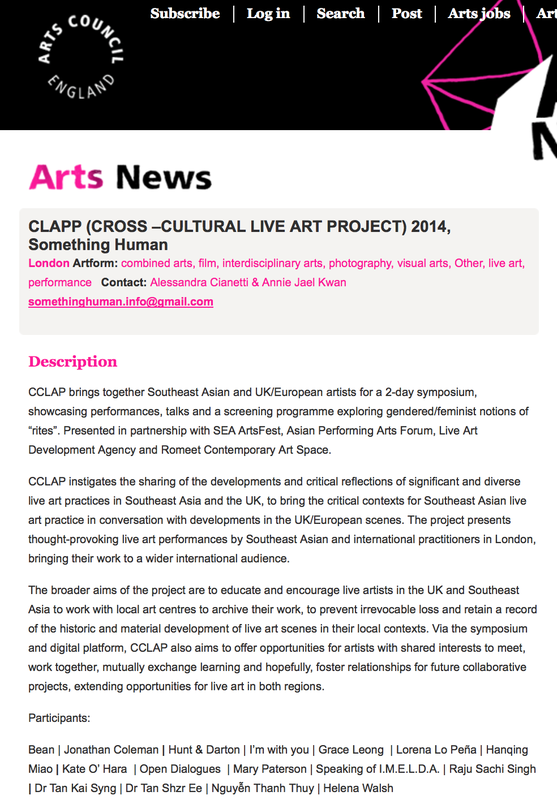 London, Regent’s Canal is commissioned by Something Human, a curator collective, for CCLAP. 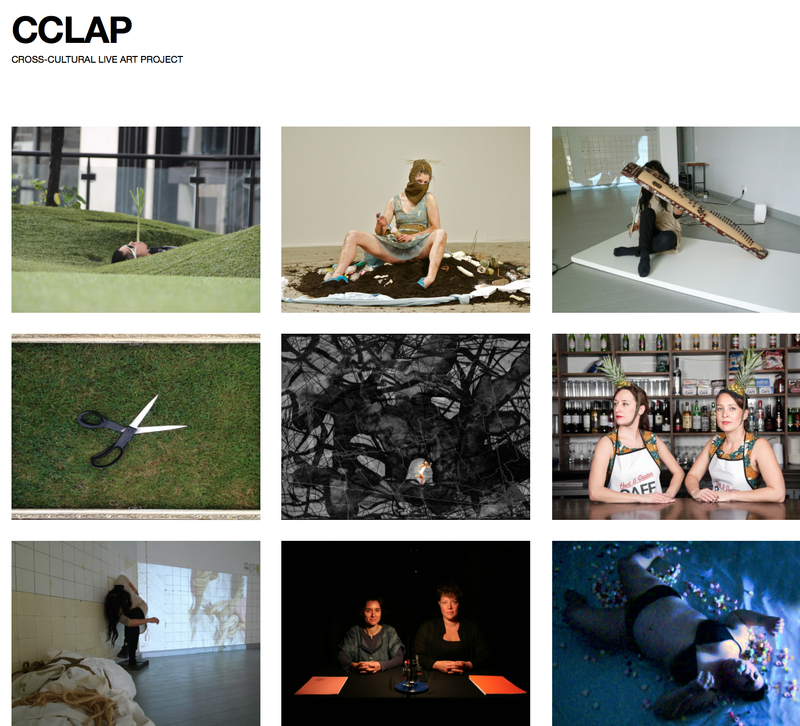 CCLAP takes place at The Proud Archivist and its surroundings on 31st October & 1 November 2014. 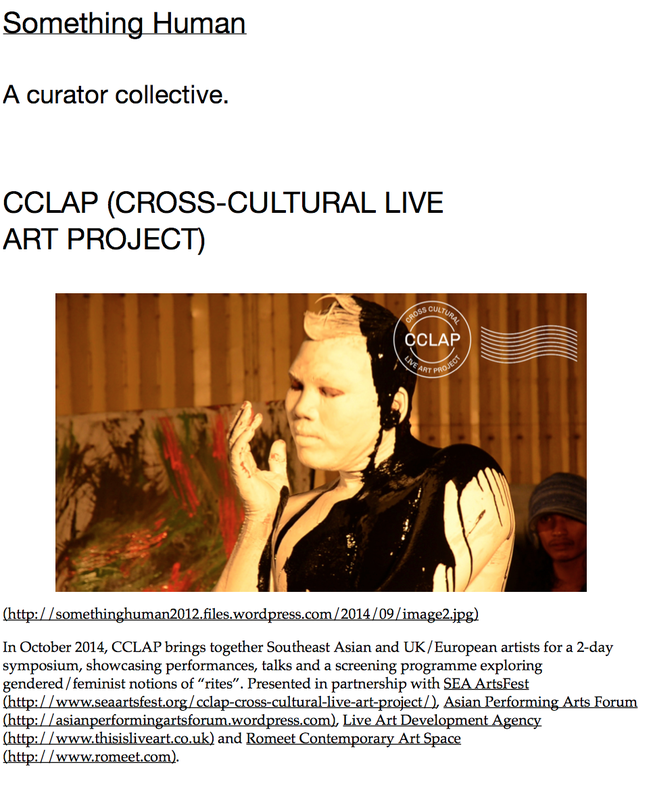 CCLAP brings together Southeast Asian and UK/European artists for a 2-day symposium, showcasing performances, talks and a screening programme exploring gendered/feminist notions of “rites”. 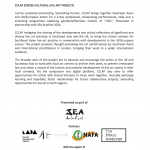 Presented in partnership with SEA ArtsFest, Asian Performing Arts Forum, Live Art Development Agency and Romeet Contemporary Art Space. Please note the following: By signing up for RUN! RUN! RUN! London (Regent’s Canal) Warming up, you agree to assume responsibility for your health and any associated risks. By participating in this event, you agree to take best care with regards to health and safety in the public space, waive your right to take any actions, proceedings, claims and damages against the organisers. Where: The Proud Archivist 2-10 Hertford Road London N1 5SH. Did you know that Londoners seem to love running, with nearly 40,000 of us take part in the London Marathon annually and another 650,000 cheering us along the streets of London, and 5 million watching the TV broadcast worldwide (The London Marathon Limited 2013; London Town 2013)? Did you also know that the Latin etymology of the word ‘run’, refers to running from one place to another (Blackburn 2008 p.102), and that the code-breaker Alan Turing was a highly-accomplished long-distance runner who invented the computer in the middle of the run (Burfoot 2007)? In this performance-lecture, Kai Syng Tan runs through how and why she started running, and what she discovered along the way. En route, Kai will also talk about how she has, since 1994, used her body as material and site, as she lives her life on the run. Book tickets at Eventbrite now! Final stop: 3pm, Tufnell Park tube station. 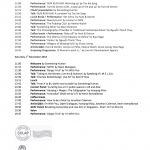 Running experience: Basic – intermediate. Notes: Please wear appropriate clothing and shoes for running. Please exercise caution when you are exercising. Please do not run if you feel unwell. Join artists Dr Kai Syng Tan and Jo Volley in a hands-on, or rather, feet-on exercise exploring the links between running, the runner’s high and creativity. Meet at UCL and we will run to Hampstead Heath. As we run, we share thoughts, personal anecdotes and speculations about how running may be conducive to creativity. We will end up at Jo’s studio, where she shows us her running-inspired artworks. Who knows, after this run, you may run home feeling so energised that you create a masterpiece. Or two. 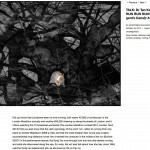 Kai, a PhD graduate of the Slade School of Fine Art, is a Research Fellow of Leeds College of Art. Together with Dr Alan Latham (UCL Geography), she runs the RUN! RUN! RUN! International Body For Research, a research institute that investigates and promotes running as a creative toolkit that can enable us to re-imagine the way we engage with the city, the internet and how we think. The first RUN! RUN! RUN! event, the International Festival of Running 1.0, was a runaway success that was covered in the Guardian newspapers. Jo is currently Senior Lecturer on the graduate painting programme and Co-Director of The Material Research Project at the Slade. Above: Map created in 2010 of an adventure in the exotic far east by Kaidie, from the Nondon A-Z series of the Kaidie’s 1000-Day Trans-Run 12.12.2009 – 09.09.2012. 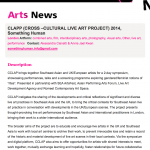 Below: Announcement of the Regent’s Canal event as seen on the Arts Council England website and so on.